Most of us have been exposed to DVD burning already. Probably most of us already have a DVD burner in our PC’s or Mac’s. But do most of us have a clue on how to get the most benefit from it? It should be as simple as buying DVD media and popping it in the burner and burn the disc right? No so fast, there are a few different DVD formats that you should be aware of. DVD+, DVD-, and DVD-RAM. Which is better? Well that’s a tossup. Personally I use all 3 formats. As long as your DVD player can support playback of all formats then you will be fine. The most common formats are DVD+ and DVD-. DVD-RAM is mainly used for data backup and for DVR’s with burners built in. Quick Note: DVD+R, DVD-R are write once formats. This can not be erased. DVD+RW, DVD-RW, DVD-RAM are all rewriteable formats. Write, erase, and write again. We will try not to make this to confusing by offering recommendations and telling what we use personally. Don’t just go out and buy the cheapest brand of DVD media. There are quality differences. 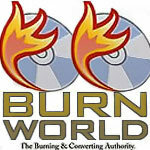 We have a guide on some tests done using DVD Burners and many brands of DVD Media to test the quality in each. It’s a bit technical but interesting read if your into that. But overall it was found that Verbatim was the best brand to use, either DVD+R/RW or DVD-R/RW. If you are Burning DVD Videos it is best to stick to DVD+R or DVD-R since they will be the most reliable for DVD playback on standalone DVD Players. If you are Burning to DVD for data backup or for Video Editing it is recommended to use DVD+RW, DVD-RW, or DVD-RAM because these formats are rewriteable. For more security for backup you can use DVD+R or DVD-R. This way the backed up files can not be overwritten.